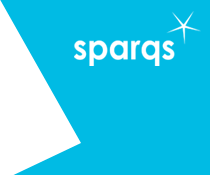 Registration is open for the sparqs conference on 28th March 2019! The conference is aimed at students, managers and practitioners in colleges, universities and other post-16 providers, from within Scotland and beyond. We invite you to join us to explore activity from across the sector on student engagement in relation to widening access, equality and diversity, transitions, representation of non-traditional students, staff development…and more! The conference will provide an opportunity to showcase this work, share expertise and learn from good practice! ....book now to take advantage of the early-bird rates, available until Friday 18th January! You can view the conference programme for details of the day and timings for both the conference and the Student Engagement Awards' reception. Choose your sessions before booking! When registering, you will be asked to choose which sessions you would like to attend at the conference. Please read the Workshop and Presentation Outlines document to enable you to make your choices - you will be asked to choose 1st, 2nd and 3rd preferences for each session. If you are a presenter, please choose your own workshop/presentation under the relevant session. In a fitting end to the day, the conference will be rounded off with the third sparqs Student Engagement Awards! Nominations for the four categories inviting Scottish institutional submissions have been extended until Friday 11th January 2019! Submissions covering the last couple of years are welcomed.... anything since the last Student Engagement Awards in March 2017. Nominations for 'Course Rep of the Year' will be invited in the New Year, once we are further on in the academic year. Nominations will be open from Monday 7th January until Friday 8th February 2019. See the Awards webpage for all the details. In addition to the main conference, we are once again offering some further opportunities for delegates attending from outside of Scotland, including an International Delegates’ Day on Wednesday 27th March, the day before the main conference, and optional site visits during the same week, to universities, a college and a sector agency. The opportunities are primarily aimed at international delegates, but those from the rest of the UK are also most welcome to attend. The International Delegates' Day will provide an opportunity to learn about the Scottish context of student engagement, including a visit to the University of Dundee and some local sightseeing, rounded off with dinner back in Edinburgh in the evening. Attending this day incurs a cost, and can be booked at the point of registering for the main conference. The optional site visits will include a mix of college, university and sector agency sessions across Edinburgh, Glasgow, Paisley and Perth, allowing people to hear more about Scotland's student engagement and quality processes, whilst enabling visitors to see a bit more of the country! While there is no cost for the actual visits, delegates will need to arrange and pay for their own travel to/from them. See the International delegate programme page for all the details, including the agenda and costs for the International Delegates' Day. See the conference booking page to register to attend....book now to take advantage of the early-bird rates, available until Friday 18th January! If you have any queries regarding the conference, please email admin@sparqs.ac.uk or contact the office on 0131 622 6599.